To understand the benefits of concierge services for organizations, it is helpful to consider both the employee and employer perspectives. For employees, a concierge can save the day, removing loads of stress that may have been building up for hours or even days. And for an employer, a concierge service shows employees they are valued which increases engagement. Take a look below to learn more. Less Stress – Imagine your employees have a notepad with a list of five personal tasks to complete this week on top of a detailed project at work. The mounting pressure from needing to complete all of the to-dos can really take a toll on them mentally. 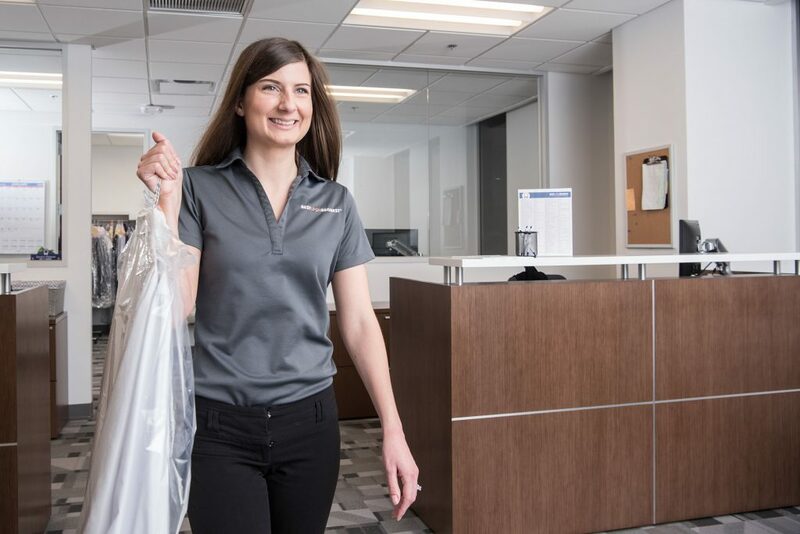 If a few tasks, such as picking up dry cleaning and getting an oil change, could be completed by a concierge, an instant weight would be lifted off of their shoulders. Instead of stressing over errands they don’t have time to complete, employees have peace of mind and newfound time. More Time – Less stress is a great benefit on its own, but a concierge service also saves an employee time. Instead of spending time during lunch, after work or on the weekends running errands, a concierge service allows employees to take a break and have more time to focus on what matters to them. Discounts and Money Saved – Employees also benefit from vendor discounts offered by the concierge service. Concierges build relationships with vendors in the community, securing discounts and saving customers money. In addition to decreased stress and more time, employees value the savings realized from having a concierge service assist them. Employees are More Productive and Focused – So that employee who had the list of five tasks and a major project at work to complete? A concierge service is designed to complete personal to-do lists so that employees like the one mentioned have less pressure and their minds are free to focus. When there’s less stress on an employee’s personal life, there’s more productivity in their professional life. Employee Engagement Improves – When employees know their employer cares about their well-being and they work in a positive culture, they are more engaged and motivated to do their best at work. According to a Gallop study, employee engagement continues to be an important predictor of company performance; organizations with high employee engagement outperform those with lower engagement. If you are looking to improve your organization’s culture, or the productivity and engagement of your workforce, and decrease their stress, a concierge service may be the perfect solution.